Metrul Tendzin Gyatso (Tib. རྨེ་སྤྲུལ་བསྟན་འཛིན་རྒྱ་མཚོ་, Wyl. 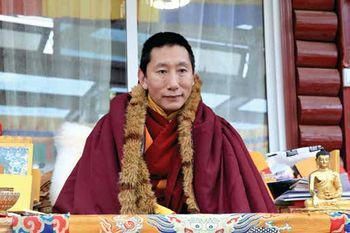 rme sprul bstan 'dzin rgya mtsho) (b.1968) is one of the main disciples of Khenpo Jikme Phuntsok.